BLBG supported the first Annual Croydon Boxcup. There was a great turnout and the Boxers didn’t disappoint. 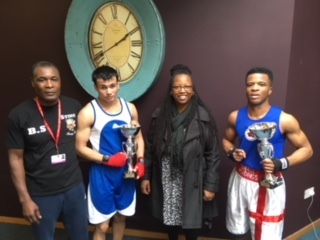 Representing Croydon’s Sting ABC Jasher Haxihr and Lemar Johnson. With their younger peers watching motivating the younger generation showing them that when they work hard their community is behind them.